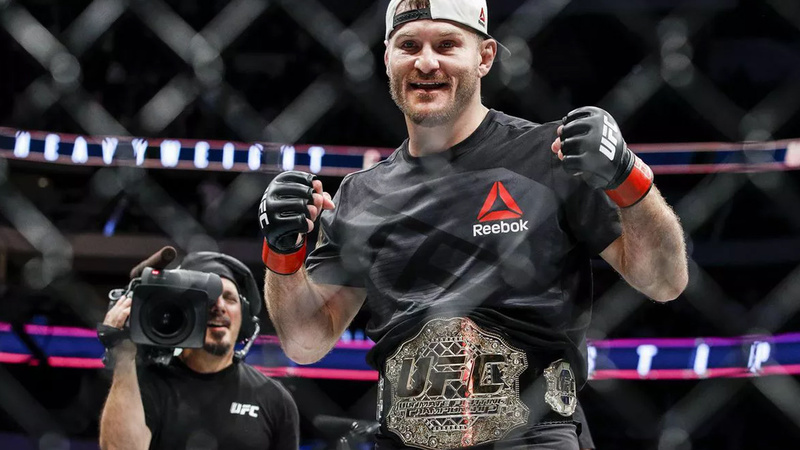 Stipe Miocic is a current UFC Heavyweight champion of the world and a former NAAFS Heavyweight champion. Stipe Miocic is currently 36 years old according to his date of birth August 19, 1982. Stipe Miocic is a great striker, and one of the fastest Heavyweight fighters ever. His most dangerous weapons are right cross and hooks off the clinch. He is also known as the master of counterpunches and movement. Stipe’s reaction is on the elite level – he moves his head in the style of Oscar de la Hoya! He uses low kicks and high kicks to keep the rival busy and unprepared for the incoming punch or takedown attempt. Miocic takes his opponents down mostly via double leg or a single leg takedown. On the ground, he controls the fights with excellent transitions, delivering punches and elbows from time to time. Sometimes he attacks in the style of the street bully and lowers his guard if his rival is not a stand-up specialist. He is the only fighter in the history of UFC who defended Heavyweight division title three times in a row. He shares the first place with Tym Silvia and Randy Couture for Most UFC Heavyweight Division Championship defenses – 3. Stipe has one more impressive record under his belt – most strikes landed in a single fight (361). His first MMA fight was against Corey Mullis at NAAFS: Cage Fury 9 on February 20, 2010. Stipe won the fight via TKO after only 17 seconds, and this is his fastest victory of the career. He joined the UFC with the score of 6-0. Stipe Miocic had his UFC debut at UFC 136 on October 8, 2011, versus Joey Beltran in Houston, Texas, and won the fight via unanimous decision. In the next fight, he defeated Philip De Fries at UFC On Fuel TV 1 on February 15, 2012, via the first-round knockout, earning his first Knockout Of The Night award. Miocic was successful again versus Shane del Rosario at UFC 146 on May 26, 2012, whom he defeated via TKO (elbows). 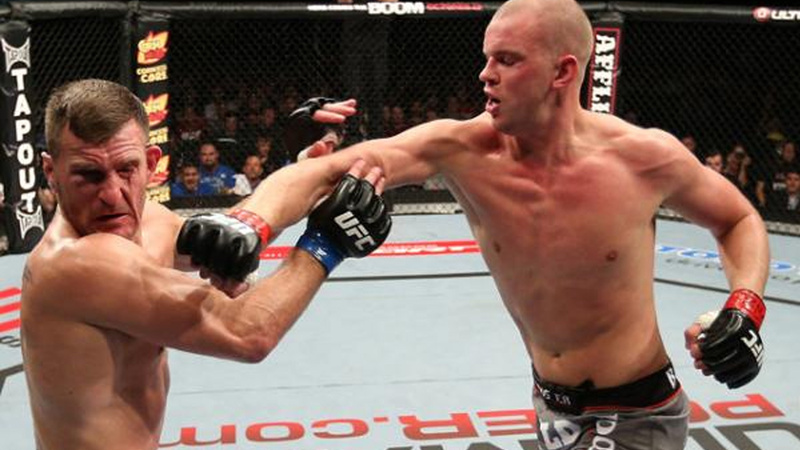 Stefan Struve made a world-class surprise when he defeated Stipe Miocic in the main event of UFC On Fuel TV 5 on September 29, 2012. Both fighters received Fight Of The Night awards. The Baddest Man On The Planet earned one more unanimous decision victory versus Roy Nelson at UFC 161 on June 15, 2013. Despite Gabriel Gonzaga was known for weak cardio, he was a very tough opponent to Miocic, who won their showdown via unanimous decision at UFC On Fox 10 on January 25, 2014. The main event of The Ultimate Fighter Brazil 3 Finale will be remembered by Stipe’s shocking victory over Fabio Maldonado after only 35 seconds in the first round via TKO. The two fought on May 31, 2014, and Miocic earned his first Performance Of The Night award. 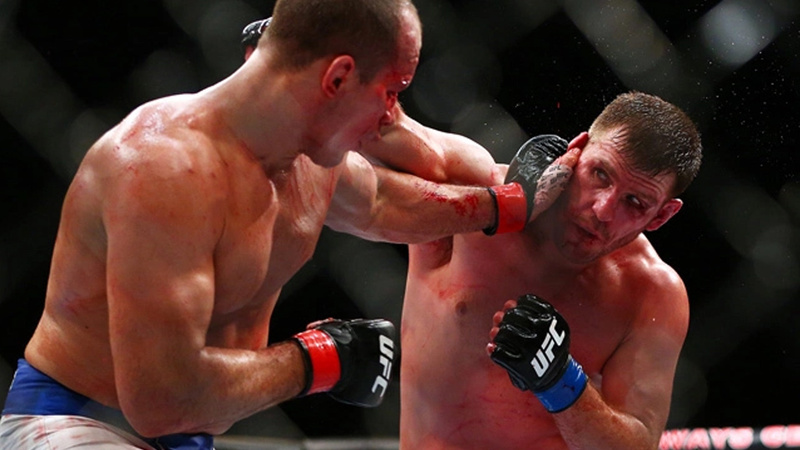 Initially, the first match was set for May 24, 2014, but Junior dos Santos pulled back due to a hand injury. The two faced in the main event of UFC On Fox 13. Dos Santos was very dominant with his boxing and defeated Miocic via unanimous decision. Both fighters received Fight Of The Night bonuses, and it is believed to be one of the best UFC Heavyweight clashes ever. 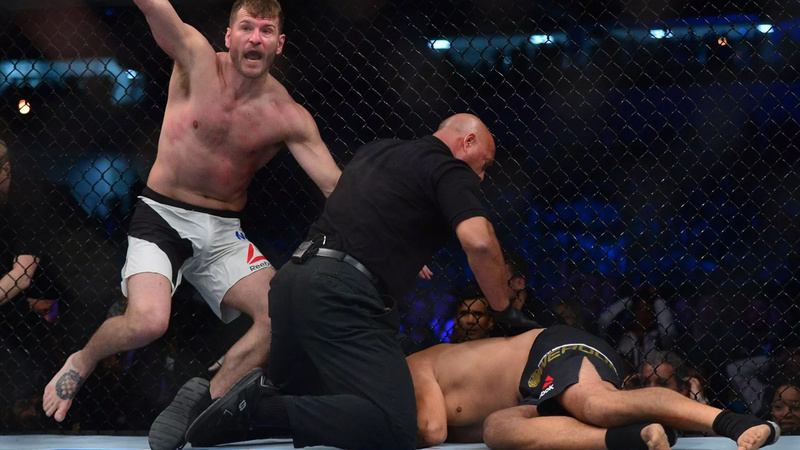 Stipe Miocic earned the title 2015 Beatdown Of The Year for the match versus Mark Hunt in the main event of UFC Fight Night 65 on May 10, 2015. Stipe landed 361 strikes in this fight, and won via fifth-round TKO! In the next fight, he brutally ran Andrei Arlovski over. 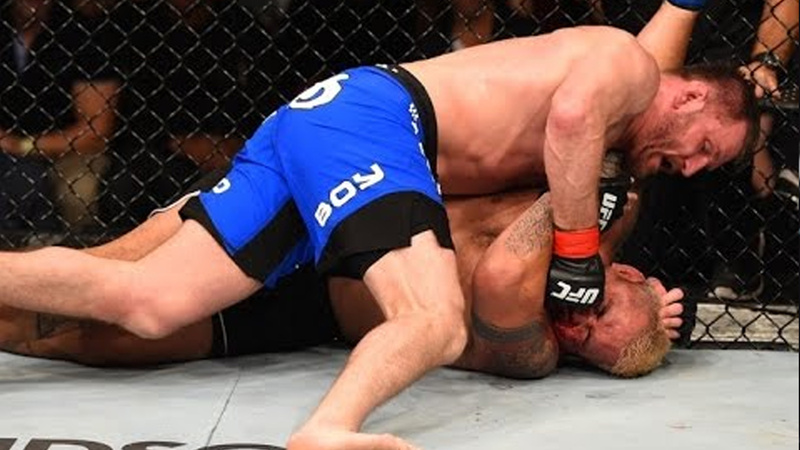 On January 2, 2016, at UFC 195, Stipe won via KO after only 0:54 in the first round, winning his second Performance Of The Night award. Fabricio Werdum and Stipe Miocic crossed their gloves at UFC 198, on May 14, 2016, in Curitiba, Brazil. At the weigh-in before the fight, Stipe said that he fights “for Cleveland and whole Croatia”. Werdum started aggressively but Miocic countered him via world-class right cross in the first round, sending him to the ground and winning UFC Heavyweight title and earning his third Performance Of The Night award. The Baddest Man On The Planet had his first successful defense versus Alistair Overeem at UFC 203 on September 10, 2016. Alistair Overeem knocked him down with a strong left hook at the beginning of the match, but Stipe recovered and attempted a guillotine choke. Soon after, Stipe Miocic got on top of Overeem and started reigning punches, and won the fight via first-round via KO, receiving his third Fight Of The Night bonus. Their second match was on May 13, 2017, at the main event of UFC 211. This time, Stipe Miocic was very cautious and he surprised Junior dos Santos with a brutal right hook, which dropped him to his knees. After few additional punches, the referee stopped the fight. Miocic won his fourth Performance Of The Night award. 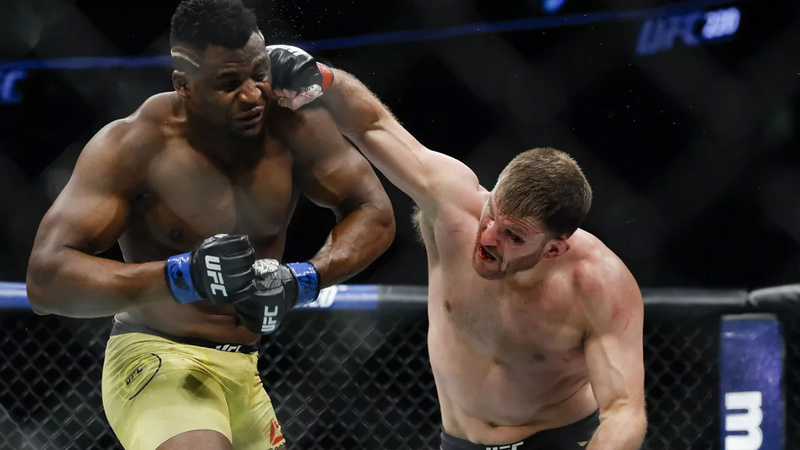 In his third consecutive UFC title defense, Miocic defeated Francis Ngannou via unanimous decision after five excellent rounds. The two fought in the main event of UFC 220, on January 20, 2018. Miocic felt extremely disrespected since he has never got the promotion and support Francis Ngannou received from the UFC. 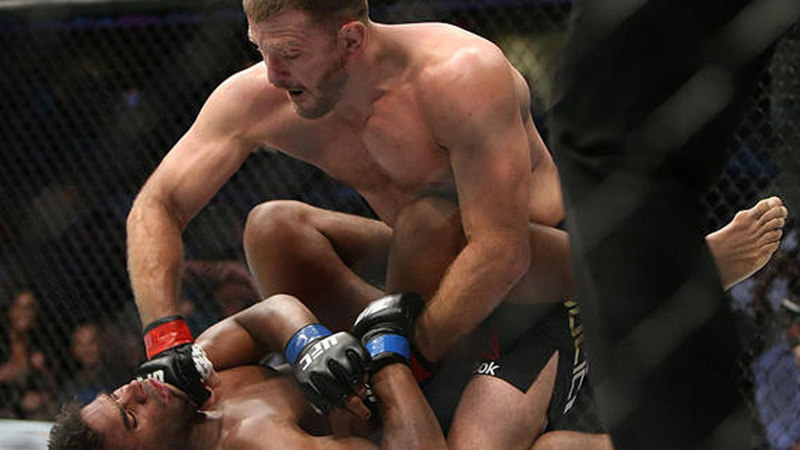 Despite being an underdog, Stipe Miocic dominated the fight for five rounds, taking Ngannou to the ground over and over and landing devastating blows. The Predator spent the most of the game on his back, trying to defend punches. After the fight, Miocic took the belt from Dana White and had his coach Marcus Marinelli put it around him. Stipe Miocic is scheduled to face Daniel Cormier at UFC 226, on July 7, 2018. He claims that he is going to beat up Cormier. The Baddest Man On The Planet is elected to coach unbeaten cast of fighters at TUF Season 27, alongside his title shot rival, Daniel Cormier. The coaches for the season were announced on January 26. Four wonderful episodes of fights and pranks are expecting you! Stipe works as a part-time firefighter paramedic in Oakwood and Valley View, Ohio. He told Joe Rogan that he needs something to focus on after his fighting career is over, and he works despite he is a Heavyweight champion with sufficient amount of money. He is married to Ryan Marie Carney, and the couple is expecting a daughter.